Renew your membership for 2019 now! 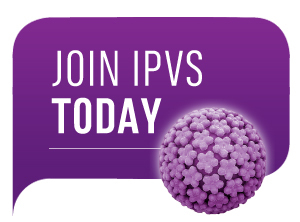 A member can become any research worker, health care provider, scientific administrator or educator, patient advocate or other interested person who has completed online application form to become a member of the IPVS, including a CV. A student member can become any individual who is within five years of the completion of their basic medical degree who has completed online application form to become a member of the IPVS. In addition to that a supporting documentation has to be provided, that indicates active student status. An emeritus member can become any retired member with no active employment who is 65 years old and over who has completed online application form to become a member of the IPVS. Supported countries members – a supported countries member can become any citizen resident in low and lower-middle income economies who has completed online application form to become a member of the IPVS. Click here for countries list.